Yesterday it was announced that Ant-Man will be getting a sequel titled Ant-Man and the Wasp to be released on July 8, 2018. 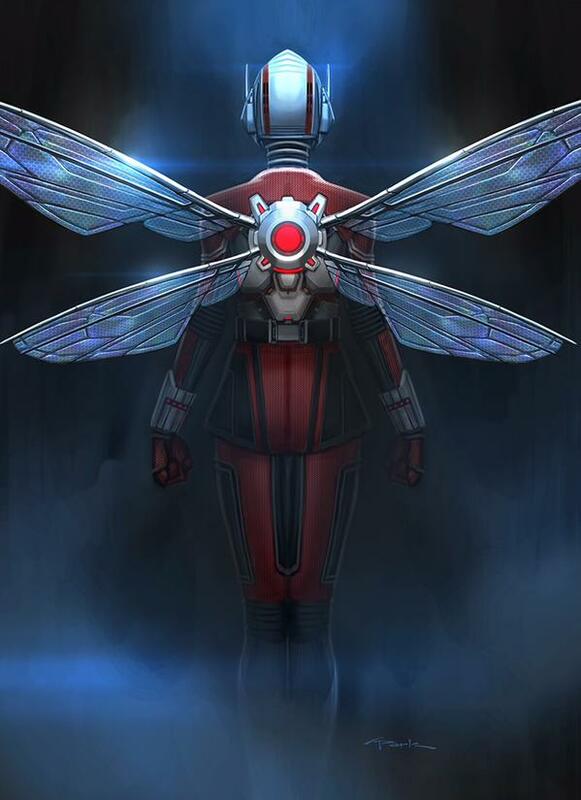 Today Marvel Studios Visual Development Supervisor, Andy Park posted the following images on his Twitter account with the statement, “& here’s my final approved design of the original Wasp for the #AntMan film. The helmet designed by Ryan Meinerding.” Check out the concept images (via Latino Review) for the new Wasp costume below. 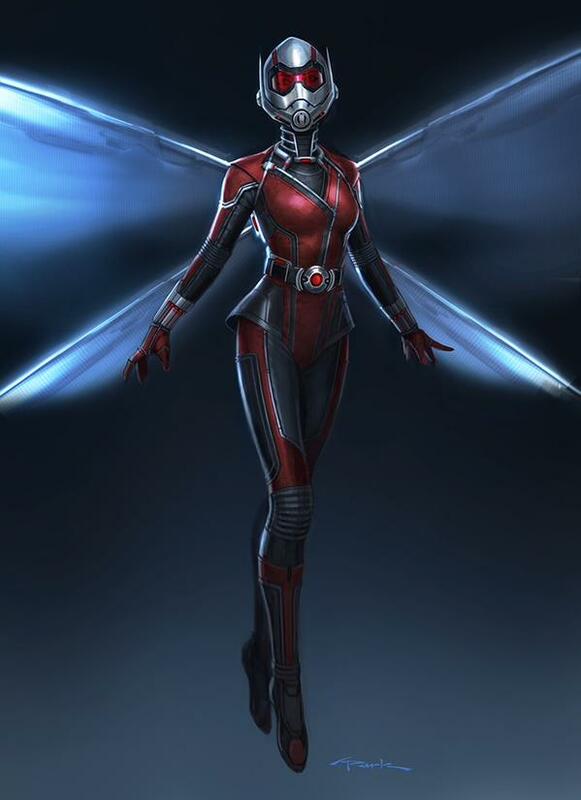 What seems odd to me is that they already featured costumes for the Wasp in the Ant Man film. 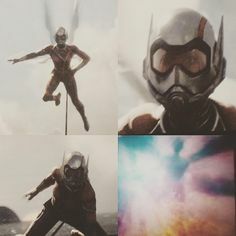 In a brief flashback scene we got a glimpse of the old Wasp (seen below in a poor image, sorry I couldn’t find a clearer one) and the closing credit sequence saw a new Wasp costume that Hank made for his daughter. Personally I would have preferred the costume shown during the closing credit sequence because that looked different than the Ant Man costume. Either way they were in need for a stronger female presence on the team and Janet van Dyne’s Wasp (Hope’s mother in the movie) was a significant player on the Avengers for stretches of their history. Are you interested in seeing more of Ant-Man and the Wasp on the big screen? What do you think of her new costume design? I’m sure we’ll be getting some additional Marvel news this weekend with the New York Comic Con in action, so I’ll be sure to keep you posted.